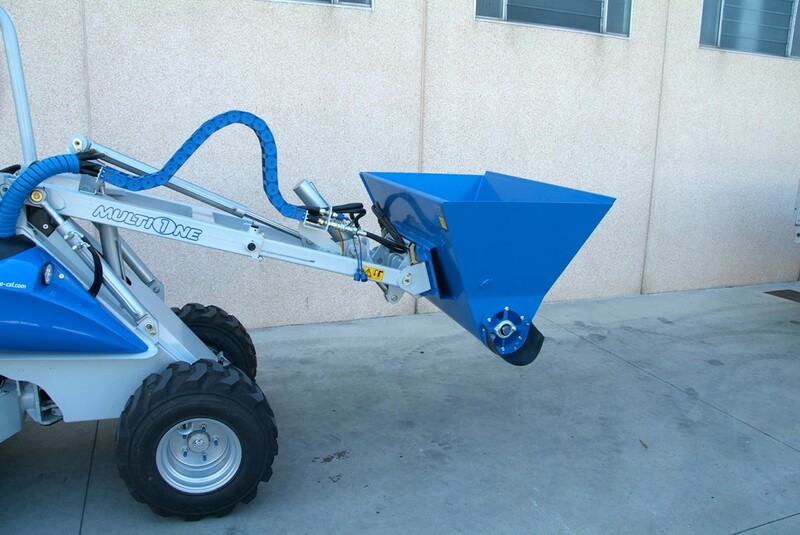 MultiOne’s animal feed dispensers bucket makes feeding the animals quick and easy. 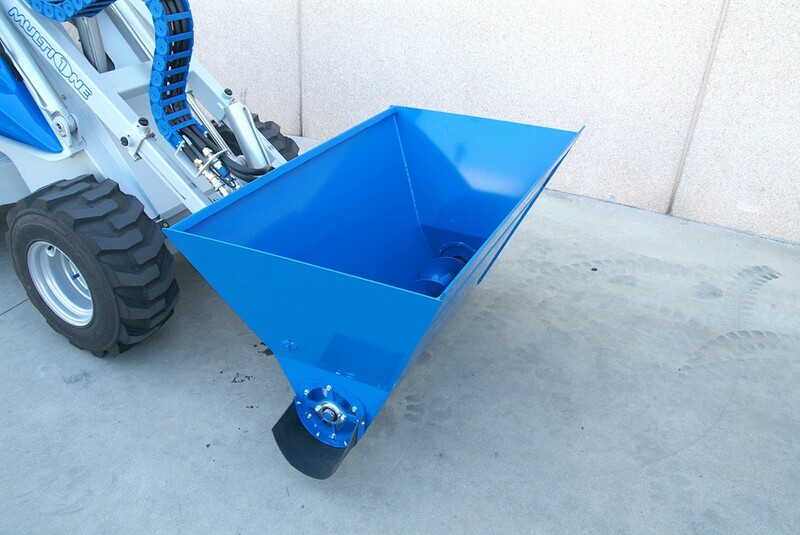 The front edge of the feed dispenser bucket can be used to easily fill up the bucket feeder. 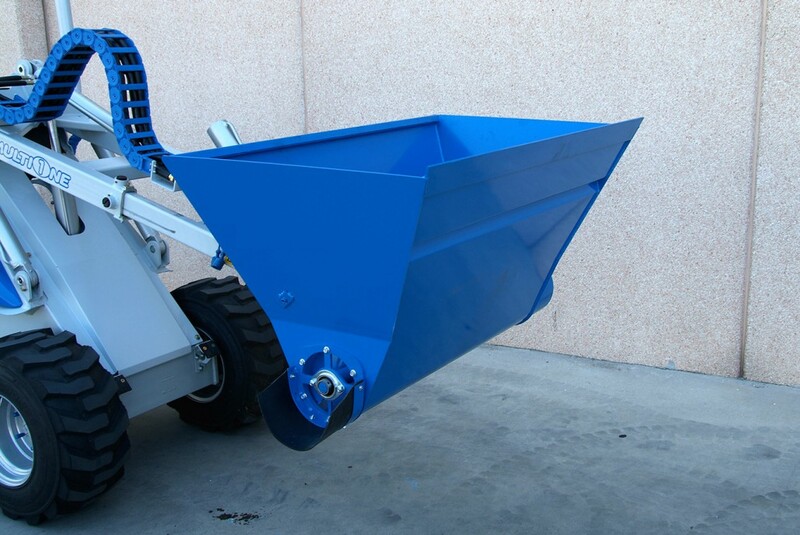 Feed is dispensed from the right side discharge chute, using the hydraulically powered auger located at the bottom of the feeder. 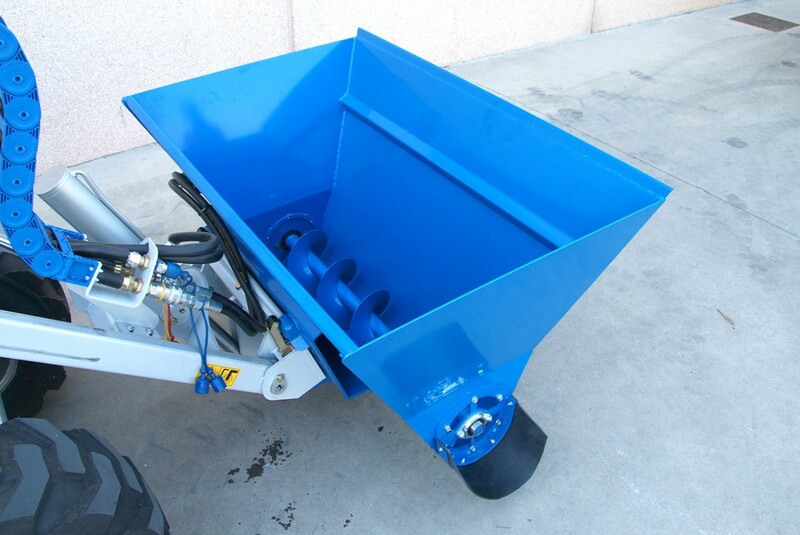 The feed dispenser is designed to handle any sized grain and mix, making animal feeding a quick and simple process.